support for Emoji, built directly into Chrome for Android and iOS. You can now read all your favorite web content using efficient and emotive illustrations, instead of cumbersome text. Our translation algorithm interprets not just the definition of the words on a webpage, but also their context, tone and if appropriate, facial expression. It then distills text into articulate, meaningful symbols so you can get more out of every screen. As more of our web browsing moves to phones and tablets, it’s become clear that the written language on small screens can’t keep up with our ravenous hunger for information. We’re forced to scroll, swipe and pinch our way through screenfuls of words each and every day. At first we thought we could help solve this problem by improving global finger strength and minimizing extremity fatigue on the mobile web, but that only resulted in incremental improvements in browsing efficiency. 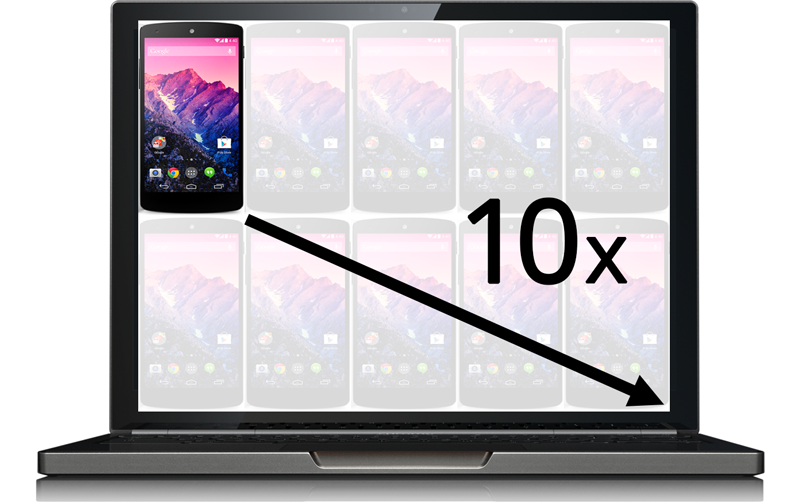 We knew we needed a 10x solution for a 10x problem. Suddenly we realized that we could apply the magic of Emoji to webpages. Not only does this pictorial and theatrical language allow us to communicate complex emotions, it’s also far more compact. One Emoji symbol can easily replace dozens of characters, improving efficiency and comprehension on the go. It turns out the best way to communicate in the future is to look to the past: the ancient Egyptians were really onto something with their hieroglyphs. To view webpages in Emoji today on your Android and iOS devices, make sure you have the latest version of Chrome for Mobile from the Play Store or App Store. Then simply tap on the menu icon and select the “Translate to Emoji” option. Tap “Reload” to view the original page. This feature is currently only available in English. By bringing emojis to the web, we hope to improve the efficiency of all communications and make it easier for you to get more out of the web on your phone and tablet. Update April 2: April Fools! Unfortunately, it turns out crying cats don’t help everyone read legal documents faster on the web. We’ll keep searching for a solution before next April 1 though!